Boca Raton FC has partnered with Rotary International to bring visibility to the “End Polio Now” campaign. The club is wearing an End Polio Now strip on its uniforms throughout the the 2017 season. Rotary is an international community that brings together leaders who step up to take on the world’s toughest challenges, locally and globally. The eradication of polio is one of Rotary’s longest standing and most significant efforts. Along with its partners, Rotary has helped immunize more than 2.5 billion children against polio in 122 countries. Rotary has helped to reduce polio cases by 99.9 percent worldwide and the organization is committed to continuing the campaign until the disease is ended for good. Boca Raton Football Club has won four straight American Premier Soccer League (APSL) titles. In 2017 Boca Raton FC will compete in the APSL as well as the National Premier Soccer League (NPSL) . 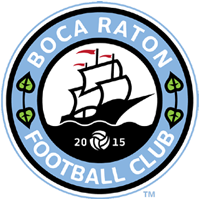 Founded in 2015, Boca Raton has found success in its infant stages and has played international friendlies with the Jamaican National Team, The New York Cosmos, and European powerhouse, Shakhtar Donetsk. Boca Raton FC also has a High-Performance Academy, as well as a partnership with Barcelona Elite which gives Boca Raton a complete soccer pyramid effect that starts when a child is 7 years old until they are ready to turn professional. The visibility Boca Raton FC has developed not just in south Florida but globally in the last three years will help increase the visibility of the End Polio Now campaign in strategic areas.